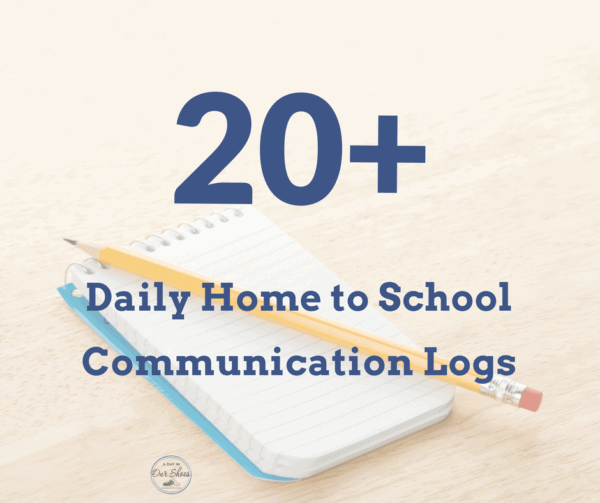 20+ Daily Home to School Communication Logs and Forms~free, printable, special education. Home » Disability Resources for Families » 20+ Daily Home to School Communication Logs and Forms~free, printable, special education. One common method of parent-teacher communication is the use of a daily home to school communication log. My son has used one pretty much since day one, but they are not just for children who are non-verbal. 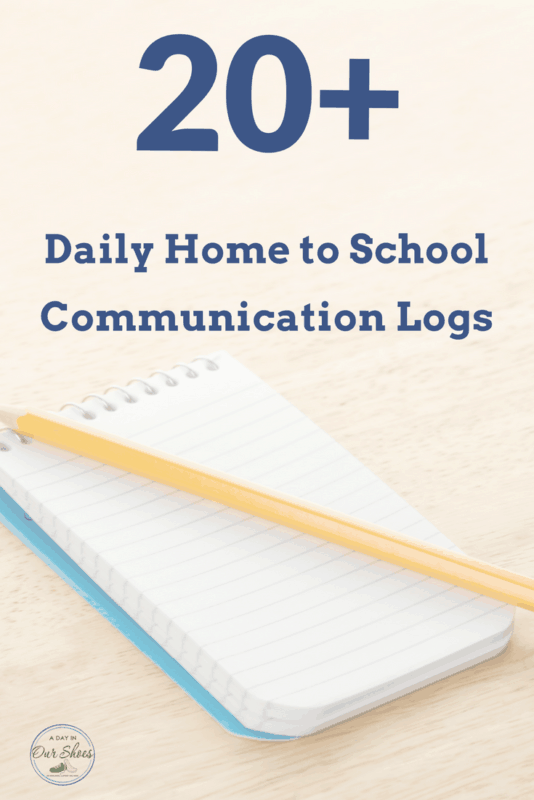 Home to school communication logs are great for any child because it prevents any miscommunication or forgotten communication by the child or student. Here are some tips I’ve gained from other parents and from working as an advocate, on how to maximize the value or your home-school communication log or sheet. After all, if the information on the log is worthless, why waste everyone’s time? 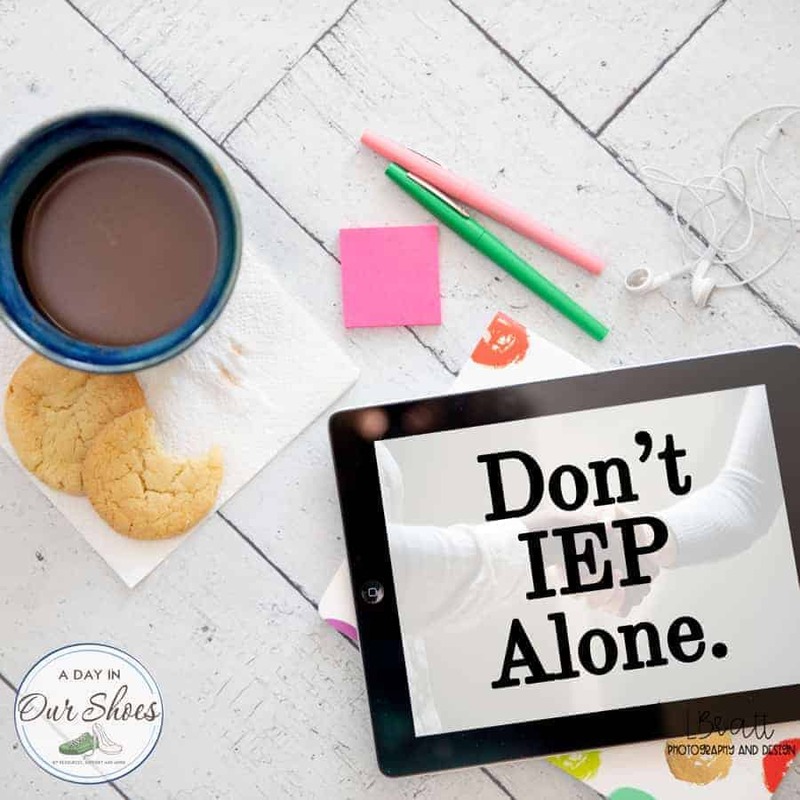 Get it written into the IEP under progress monitoring so that doing the log is not optional (this is for both parents and staff!). You can also set a self-advocacy goal so that the child does become the main communicator at some point, beginner steps would just be getting the notebook to and from school successfully. Both parents and staff should participate. It’s equally important for teachers/staff to know if your child did not sleep or had a particularly good or bad evening or morning or might not be feeling well. To increase efficiency at both ends, make it stupid easy! Put as many yes/no check boxes as you can or things like low/med/high for behaviors. If it’s just a check and a sentence or two rather than a whole dissertation you increase the likelihood of it being done regularly (most teachers and staff have case loads that are too high!). Keep it limited to really what you need to know. Home to School Communication Logs and templates. 3 Month Calendar Template on YouTube. Teach the kids! As always, please leave a comment if a link is broken so that I can try to fix. Or, leave your favorite link and I’ll add it to the list! « Going to Sesame Place? Then you need to read this.